The Health Ministry’s expert panel, which submitted a report on February 19 last year, had recommended that J&J be made liable to pay at least Rs 20 lakh to each affected patient. New Delhi: Ten MPs, seven of them belonging to BJP ally Shiv Sena, have written to Union Health Minister J P Nadda to take “appropriate action” against global healthcare major Johnson and Johnson (J&J) and “ensure justice for all sufferers” of faulty ASR hip implants. Lok Sabha MP from Pratapgarh (UP) Kunwar Haribansh Singh, belonging to BJP ally Apna Dal (Sonelal), is among the 10 MPs to have written to Nadda. 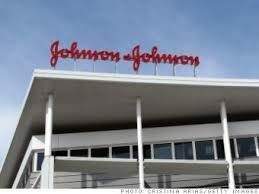 “Most recently, the company (J&J) seems to be going against the government’s directions and denying its liability in compensating patients,” Chandrakant Khaire, Shiv Sena MP from Aurangabad in Maharashtra, wrote in a letter dated January 7. “I call upon you ‘sir’ (Nadda) to independently identify all patients who have received the faulty ASR implants in India; and take appropriate action/s against the company to ensure that justice is met to all the sufferers of these faulty ASR (hip) implants (sic),” Khaire added. In December last year, J&J had approached the Delhi High Court, requesting an urgent hearing claiming that the government’s directive asking the company to pay compensation to the victims of faulty hip implants had no basis in the law, and it must be stayed consequently. On December 12, 2018, the high court refused to hear the company’s plea, stating that it was “neither important nor urgent”. It deferred the matter to February 26 for the next hearing. Kunwar Haribansh Singh had written to Nadda in December that the ministry should “take all necessary actions to penalise the company for its criminal wrongdoing and violation of the laws”. Singh had added that the Union Health Ministry should ensure that justice is “met to all the sufferers of ASR hip implants (sic)”. The panel had added that the reimbursement programme for revision surgeries should continue until August 2025. In November last year, the central government accepted the recommendations of the expert panel in parts and stated that patients — suffering due to J&J’s faulty hip implants — would be eligible for compensation in the range from Rs 20 lakh to Rs 1.2 crore. Dharam Vira Gandhi, Lok Sabha MP from Patiala and suspended member of the Aam Aadmi Party, wrote to Nadda on December 28, 2018, urging him “to penalise the company for its wrongdoing and violation of laws”. BN Chandrappa, Congress Lok Sabha MP from Chitradurga, as well as H K Patil, Congress MLA from Gadag, have also written to the Union health minister on similar lines. Chitradurga and Gadag are in Karnataka. Apart from Khaire, other Shiv Sena MPs who requested Nadda to take action against J&J are Hemant Tukaram Godse, Rahul Shewale, Arvind Sawant, Prataprao Jadhav, Vinayak Raut and Shrikant Eknath Shinde.